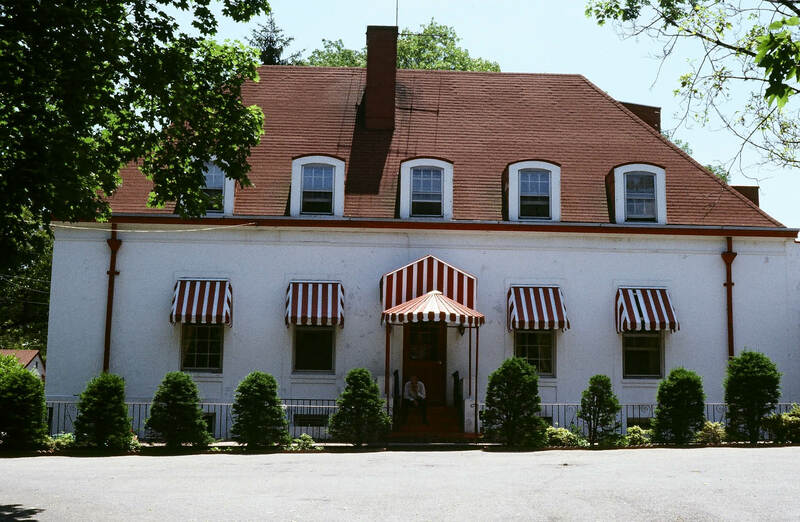 Harry, when the Petit Trianon Inn was built in 1911 at the eastern terminus of the Motor Parkway in Lake Ronkonkoma, William K. Vanderbilt Jr. also commissioned an annex building for the staff. 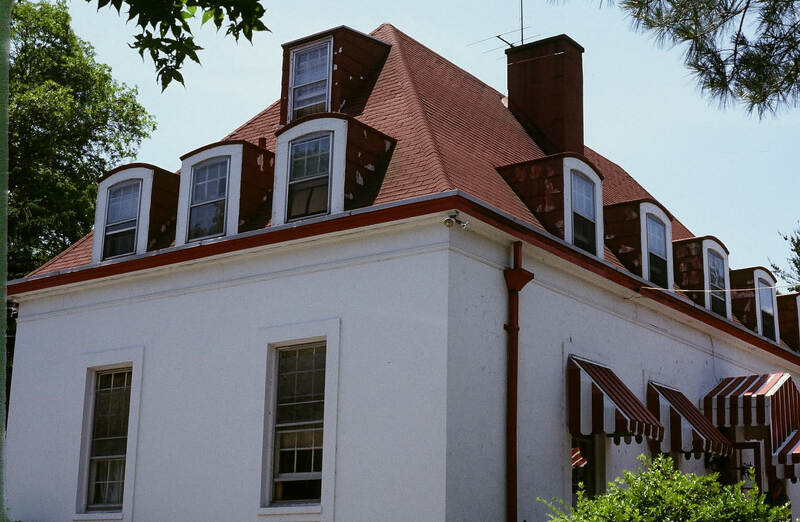 Like the Petit Trianon, the annex was designed by John Russell Pope and retained many of the features of the inn. 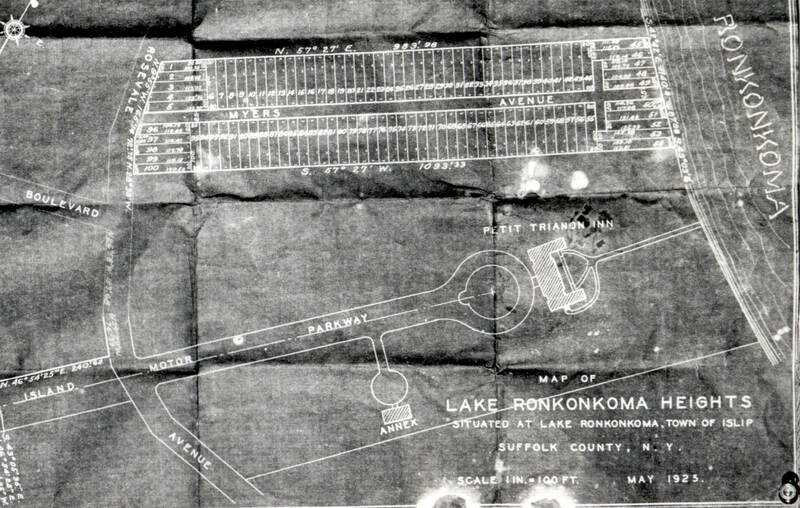 The relation of the annex to the inn and the Motor Parkway was shown in this 1925 blueprint. The two buildings can be seen in this 1950 aerial. 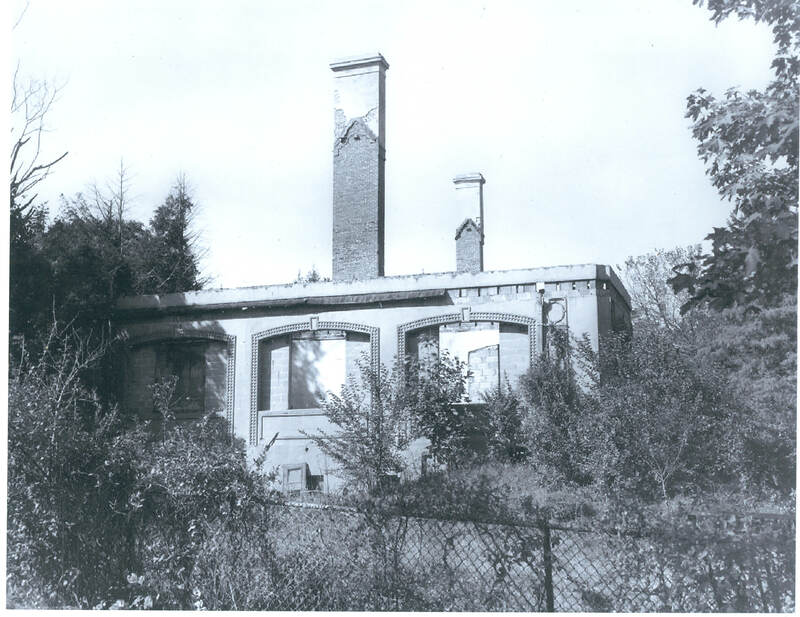 After the closing of the Motor Parkway, the Petit Trianon became a restaurant with many different owners before being abandoned in the early 1950s and finally destroyed by a fire in 1958. 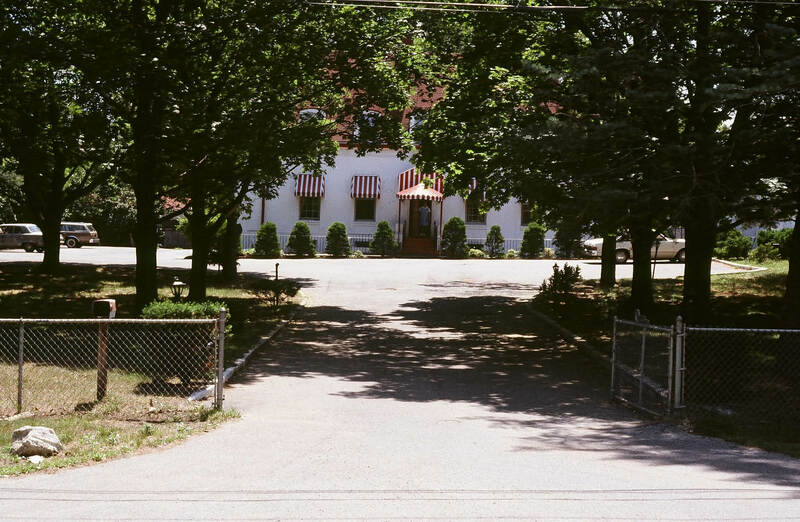 The Annex survived until 2006 when the building and property was purchased by a land developer. Does the current motor parkway end in the same spot the original did? That is, if I drive east on it today, when I get to Rosevale Ave - the end of the road - would I be looking straight ahead at where the Petit Trianon was located, or would the original parkway have ended further north or south? 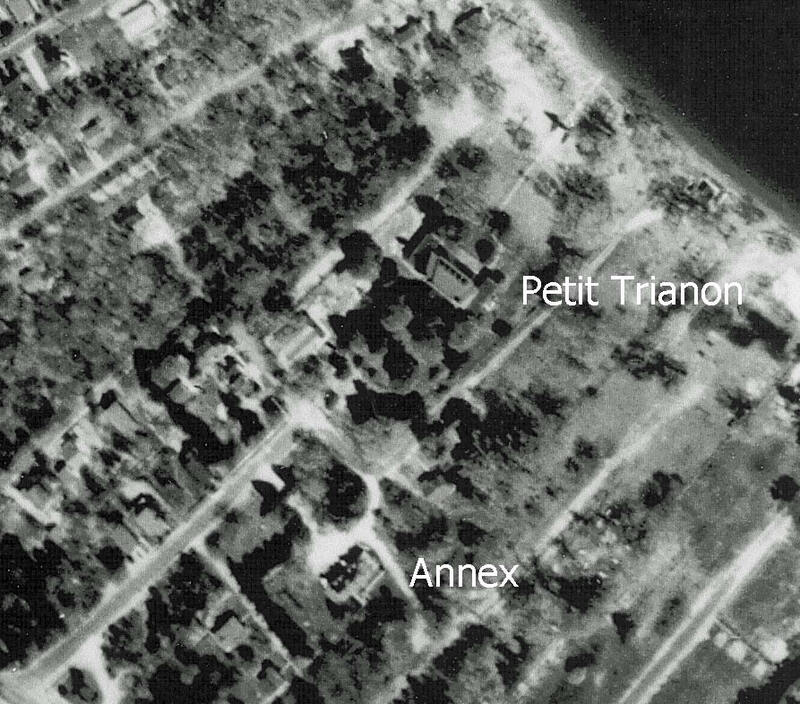 You are correct at the location of Petit Trianon. 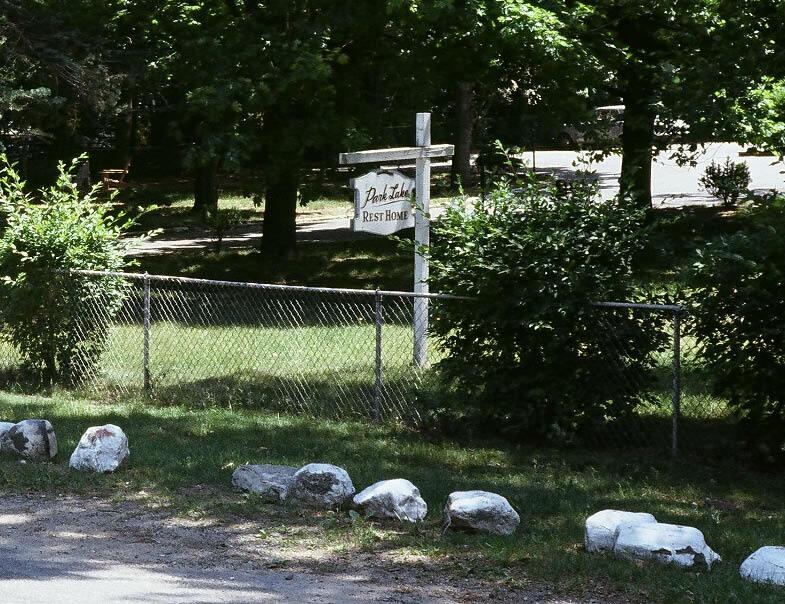 The about survey shows the relationship of the Motor Parkway, Petit Trianon and the Annex. 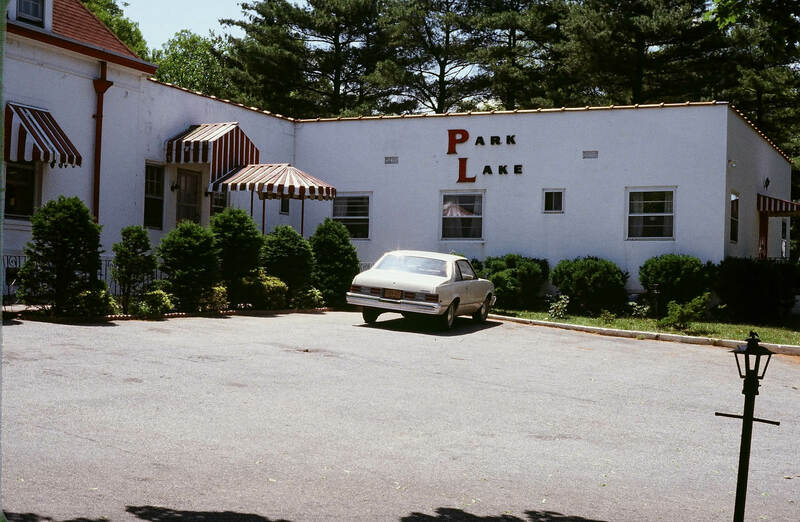 The last block of the old Motor Parkway is named Lake Drive. 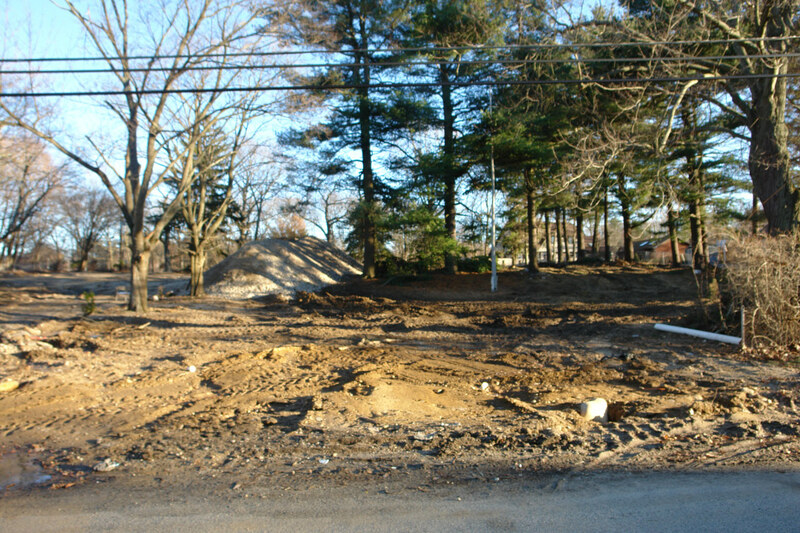 Cross Rosevale Avenue and continue to the end of Lake Drive. The Petit Trainon was about 200 feet past the end of Lake Drive.